Woongjin Stars has released six players from its roster, and a seventh has joined Axiom eSports. Speculation has been running rampant in the StarCraft II community over the reasons behind the sudden shrinking of the Woongjin Stars professional Starcraft II team. Yesterday, Woongjin Stars announced the release of six players from the team roster. The acquisition of a seventh player by Axiom eSports, also announced October 1, leaves Woongjin Stars with just five active players. The changes follow the September 26 bankruptcy announcement by the team's title sponsor, Woongjin Group. Woongjin Stars stated today that players were released because new contracts could not be reached. The released players now have two weeks to sign on to other Korea e-Sports Association (KeSPA) teams, after which their player status will be revoked. This would restrict the players to competing in non-KeSPA tournaments. The six players released from their contracts with Woongjin Stars are Song "Aria" Gwang Ho, Noh "Bravo" Joon Kyu, Yoon "free" Tong Tae, Jo "Hanbin" Han Bin, Lim "Organ" Jin Mook, and Kim "ZerO" Myung Woon. It is not yet known if any of these players will move to other professional teams or retire from their careers in StarCraft II. 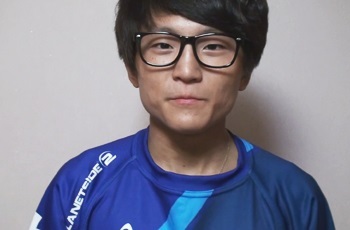 All but Jo "Hanbin" Han Bin competed professionally in StarCraft: Brood War as well as StarCraft II. The seventh departing player, Kim Joon Hyuk, has been acquired by Axiom eSports, a professional Starcraft II team created by Genna "Intricacy" Bain and managed by her husband, John "TotalBiscuit" Bain. Formerly known by the handle Mekia, Joon Hyuk will now play under the name Impact. Axiom had been without a Zerg player in their roster since the retirement of player Jun "Miya" Jong Bum in May, so the acquisition will round out their roster. Joon Hyuk was one of the three players profiled in State of Play, a documentary that explored careers in the South Korean professional gaming scene.